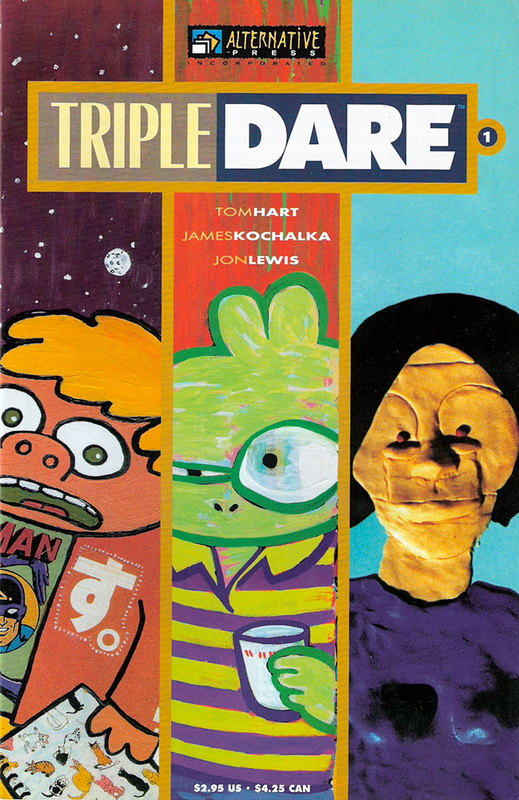 Each issue of “Triple Dare” contains a 10-page story each from Tom Hart, James Kochalka, and Jon Lewis. Each of their stories stands on its own, yet are subtly linked by a secret set of “dares” the three work out in advance. 36 pages. Black and white with color covers. Limited stock. Purchase quickly before they’re gone!